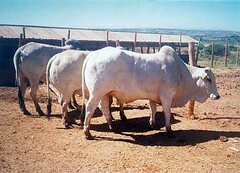 Similar to the Ethiopian Boran with well developed hump and large dewlap; horns are short; mainly used for milk, but are also good beef animals (Rege and Tawah, 1999). Found in the Ogaden area of Somali region of eastern Ethiopia. The Ogaden cattle are described as a strain of the Borana occupying the Ogaden rangelands of south-eastern Ethiopia (Rege and Tawah, 1999), but it is not clear why they are classified as a small rather than Large East African Zebu. 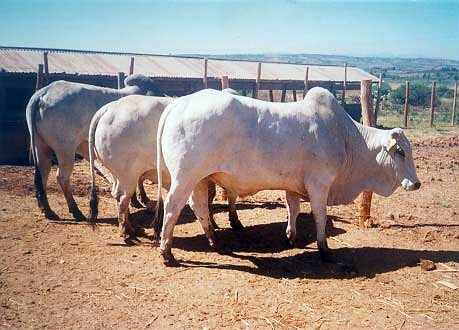 Felius (1995) identified this breed to be the same as the Jijiga, but the reported phenotypic descriptions are not the same.